Airflite’s existing business in the region and gaps in the market place led to the establishment of Airflite Asia in 2009. Existing clients of Airflite in the Asian region have enjoyed support from Airflite’s Australian divisions for many years, predominantly in the form of product support and major modifications and scheduled inspections. As the size and requirements of our client base in the region continues to expand, it became clear that the most efficient way to support this growth is to have a base within the region. Feedback from industry, aircraft operators and owners in the region suggested that a maintenance organization with customer focus and high quality workmanship would be a welcome addition to the aviation landscape in Asia. With the feedback still fresh in mind and the expanding needs of our existing client base, Airflite Asia was created. With offices in Singapore, the division is at an ideal geographic location for supporting a client base that includes owners and operators in Singapore, Malaysia, Indonesia, Bangladesh, Laos, India, Thailand and Vietnam. The Airflite Asia capability is further enhanced by key personnel who make regular visits to Asia. This ensures a continuity of service and genuine relationship with our regional clients. 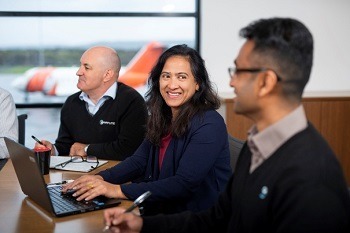 The key personnel are highly skilled, with global experience, and have been central figures in the aviation community in South East Asia for many years. With the regional knowledge and experience of Airflite Asia’s key personnel, combined with the support of the Airflite company as a whole, ensures that Airflite Asia provides the customer focus and quality results that the industry demands. For specific projects Airflite Asia remains flexible and can provide maintenance services at remote locations. Need A Partner In Asia? Please contact our Airflite Asia team with any inquiries.